British shooting is often seen as traditional, if not hide-bound, with many taboos imposed not for legal reasons, but because people do not approve. One of the greatest is the prohibition of semi-automatic shotguns on game shoots. They are acceptable for pigeons, corvids and foxes etc, but not game birds; why? Well they do not fit into the traditional, tweed-wearing double gun image of the British. Does it matter that the average semi has a capacity of three shells as opposed to two of the double; I think not? As an ardent fan of semis for ALL NEEDS, I find this attitude frustrating; worse it leads down the ‘good gun, bad gun’ road that can get equipment banned. I do not care what people use, as long as they are safe and shoot properly. You could argue that the semi’s higher capacity allows faster back up shots if you miss. Yes this does work, but it’s accuracy and not firepower that does the job! However, in recent months I’ve had a bit of an epiphany about doubles and in doing so have grown an appreciation; a design that I would not have given house room to a year ago! So let’s break it down! A semi is faster to shoot, probably not as the mechanism has to eject and reload each time, compared to a double, which is just the pull of the same trigger away. A semi is slower to fully reload, yes, as there’re buttons/catches to press to close the bolt etc. A double has to have its action opened each time and shells fed and removed manually and in some cases does not offer automatic ejection. Agreed but a good shooter copes easily. If you have a hi-capacity semi you tend to keep it full, it’s often the case you top it up after two shots so never realising its full payload. Semis are potentially less reliable and ammo-sensitive; true, though modern guns do seem to suffer a lot less. A well designed sporting double is perhaps more handy and shootable, I now say yes. I say shoot what you want and you’ll get no argument from me and I will always be a fan of semi-autos! But I now see that my dislike of doubles was founded on a lack of appreciation of the design and the attitude of the more intolerant! What’s your choice? A semi-auto or a double barrels shotgun? Give us your opinion. Nice article. Respect. I have both semi & o/u. 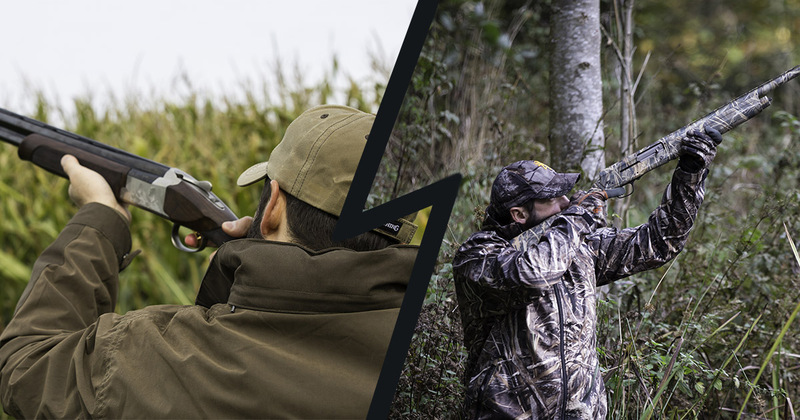 One issue only with semi – how you collect fired shells when you go for a walked up or waterfowl? I´ve had a couple of semi´s and one thing that I have noticed, is that they are very easy to come to terms with when it comes to hitting – and that is not a small thing. Currently, my arsenal consists of two Browning O/U and no semi, but I could do with a semi for pigeons, as I find them absolutely superior in a hide. Where I live and shoot, (Sweden) someone who lugs a semi on a walked-up shoot, for sure will make his mates a little uneasy and that goes for driven shooting as well here in the southern part of my country. Interesting article with a lot of good points.